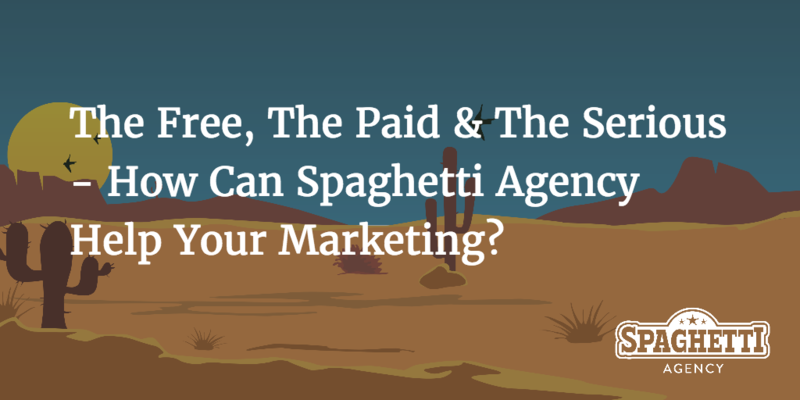 The Free, The Paid & The Serious - How Can Spaghetti Agency Help Your Marketing? 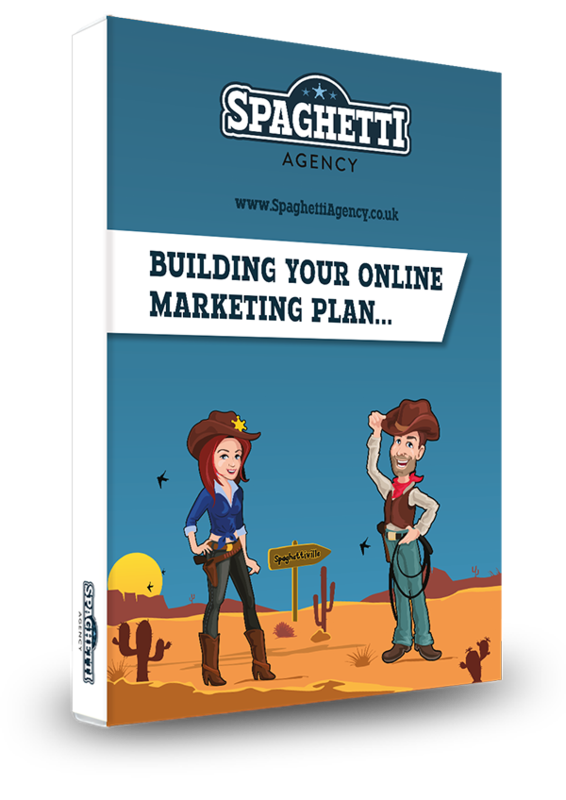 We created Spaghetti Agency because we get a huge buzz out of helping people to get better at their own online marketing. Over the last few years we’ve trained and mentored people, often over a coffee or a few beers in the local saloon. We gave them ideas, put them in touch with other business owners, and got involved with ongoing support too. We can’t help folk for free now. We’d love to, and if we’re honest we’d still do all this if we won the lottery – we enjoy it that much! But, Spaghetti Agency is a business, with paying clients, so meeting up and chatting, long phone calls, coffees in exchange for knowledge, email tennis… they’re just not possible any more. But there’s good news! We now have LOADs of ways that you can get some Spaghetti help in your business, and you don’t always have to cross our palms with silver. 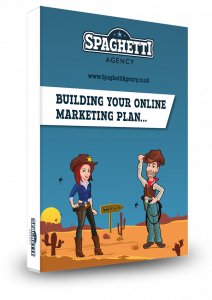 Right here on this blog we share LOADs of content, tips, advice and guides on using online marketing. You can subscribe to the blog here and we’ll email you every time we post a new morsel of information. It’s the best way to keep up with the changing world of social media and hear our thoughts and insights. Remember to search the blog for previous posts, because we’ve written SO much on such a huge variety of topics. Over on Facebook we have a community of small business owners, all working on ideas and asking questions about digital marketing. It’s a totally free group with some really cool people in. Join us for free right here! We’re on YouTube too. We regularly upload 2-minute videos, each with some simple hacks, tricks or advice to improve your online marketing. Head over to Todd’s channel on YouTube now or subscribe here and when a new video is added you’ll hear about it first. We’re often asked to speak at events about social media and online marketing. Why not book into one of our future events and hear what we have to say? It’s not the normal dry, boring stuff – and many people say the way we explain it all makes sense despite being told it all before. Add yourself to our email list and you’ll not only get the Friday Digital Roundup (a free weekly email full of funny digital stories) but you’ll hear first about our next talks. Spaghettiville is our town in the West. It’s where we hang out, tie up our horse and, more importantly for you, it’s where we dig for gold, share marketing stories around the campfire and grab a stool at the Social Saloon for training on what works for your small business marketing. It’s an online community that you’re a part of. We have live and interactive training, accountability tasks and challenges and all the content and tips we get success from, we feed right into the community. Find out more, here. You can now book in 1-2-1 time with us in the Social Saloon. You can book your session online in hourly slots and meet us at a stunning venue in Leamington Spa (or online) for advice about your online marketing, website, technical questions, apps, copy, social media and more. Plenty of other stuff (as long as it’s digital) – email us if you’re not sure. Book in here and by some magical technology it’ll be added straight to our diary. See you in the Saloon. Social media training is what we love; teaching businesses how to use Twitter, Facebook, Periscope, email marketing, copywriting, blogging and more. We still do this and we run monthly workshops aimed at teaching you to be the best you can be with social media. Find more information about our next workshops here. We come to you, too! If you need some Spaghetti in your business, then book us for an in-house training session and we’ll create a bespoke training half-day or day for you and your team. We’ll look at social media, blogging, general marketing, analytics, copywriting or whatever you need help with. In-house training suits teams of 10 or more but we can train smaller teams if you like. Contact us now to get a cowboy in your business! Here’s the deal. If you’re a small business owner then you’re the best person to do all your marketing… to a point. Having us run it for you is fine but we could also hold your hand and help you do it for yourself. So Digital Handholding was created. Now we help businesses to create great content, send out great content and talk about it in a connected way. We helped Phil get into Men’s Health and Jay create a mass of noise about his new photography business. If you’d like a complete breakdown of what you get with Digital Handholding, drop us a line. So there are your options! Sorry there’s no coffee and chat about anything and nothing… we used to love doing that but it’s simply not an option for us anymore. We hope you’ll agree that there’s something for every type of business looking to invest in some quality marketing initiatives. Soak up some FREE help, book us for 1-2-1 training, get us in for the day, or let us be your online marketing department. We look forward to seeing you soon, partner – Yeehaa!